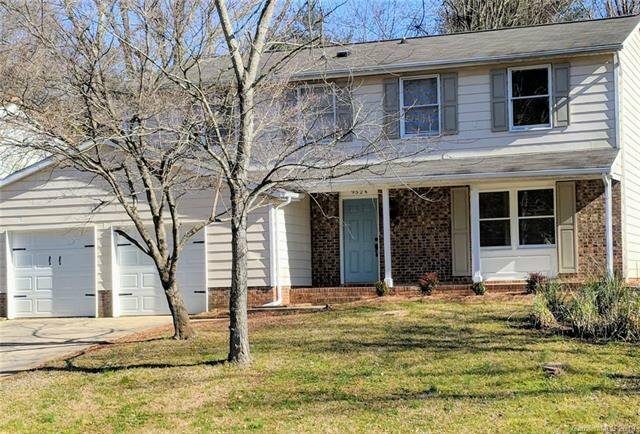 NEWLY RENOVATED Spacious 2-Story four bedroom 2.5 bath IN in quiet cul-de-sac with en-suite master conveniently located less than 1/2 mile to UNCC and the new UNCC Light Rail Station! Great Room features brick wood burning fireplace with French doors accessing large back patio and fenced back yard, in addition to Living Room, separate Dining Room, Eat-in Kitchen with Granite Counter Tops, Pantry, 2-Car garage, and Covered Front Porch. Directions: Take Hwy 49 N to Mark Twain and turn (R), go (L) onto Sandburg then (L) on Bonnie. Turn (L) onto Robert Burns.